You can’t predict the future, but Oxenhandler Law can help you plan for it. A Living Will, also known as a Health Care Directive, will clearly and concisely state what medical procedures you want, and those you want withheld, when you can’t voice those decisions for yourself. This critical document helps to ensure that end of life decisions are clearly stated before they arise and can assure that your wishes are followed. 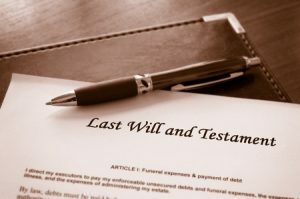 A Last Will & Testament is a very effective way to distribute your assets to your heirs and beneficiaries. A Will directs not only which assets go to which heir or beneficiary, but to whom you are giving the trust and authority to implement your directives. If you have minor children, or children with special needs, a Testamentary Trust can be added to your Will to make sure that your assets are protected for your children and used to make sure they are safe and the assets you leave them are used for their health, safety and support. A Durable Power of Attorney for Financial Decisions will allow you to choose the people you trust the most to handle your financial affairs for you in the event that you can’t make decisions for yourself. A Revocable Family Trust is a comprehensive tool that will give you complete control over the use of your assets during your lifetime, and then allow you to designate those you trust most to continue to use those assets for the beneficiaries you designate, in the manner you choose. When it’s time to Probate a Will, Oxenhandler Law can help guide you through the process. Making sure that the directives of the Will are followed and the directives of the Court are complied with. 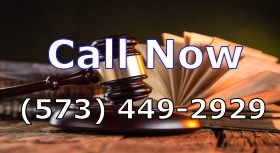 If you need a lawyer that excels at will and trust work, please give Josh a call. Please call (573) 449-2929.